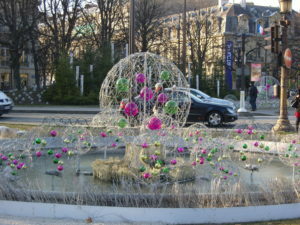 Home blog Christmas in Paris! Surrounding you and extending all the way down the Champs Elysées to the Arc of Triumph is a glowing river of color, making you forget the chill in the air. Lights wink at you from the trees lining the majestic avenue, and it seems everywhere you turn something is glowing with gleeful brilliance. 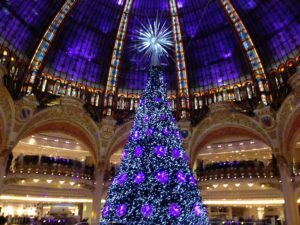 Christmas in Paris…there’s a magical flavor in the atmosphere, and the usual bustle of the big city is infused with something sparkly, festive, and memorable. 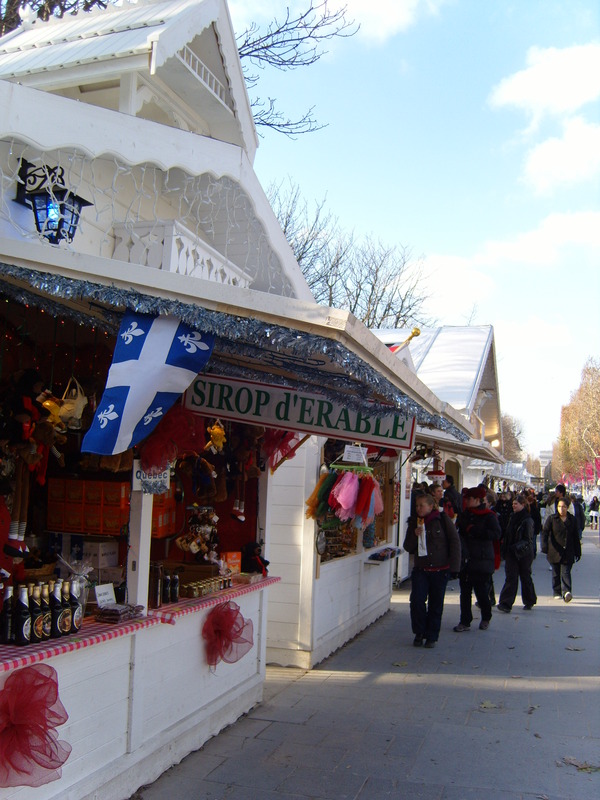 On nearly every corner there are special displays, Christmas markets, holiday menus and shows, concerts, and Christmas cheer à la français. 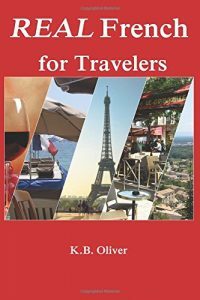 What to do during this unique time of the year? Here are some ideas! SHOPS: First, aside from shopping are the stores themselves. 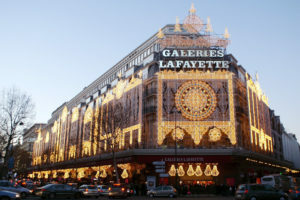 I’m talking department stores that seek to outdo each other in stunning displays of lights, trees, ornaments and color. You’ll definitely want to visit the big shopping area in the 9th district where several large department stores share a busy hub. 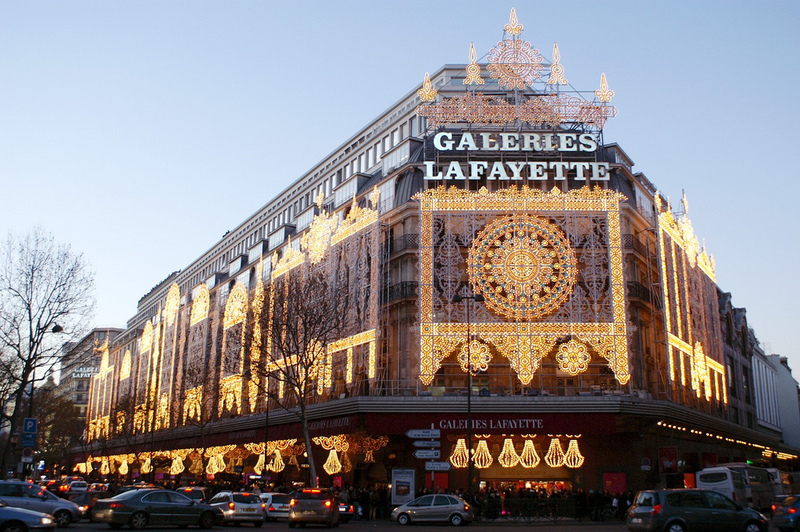 On Boulevard Haussmann you’ll see La Galerie Lafayette, famous for its holiday decor. 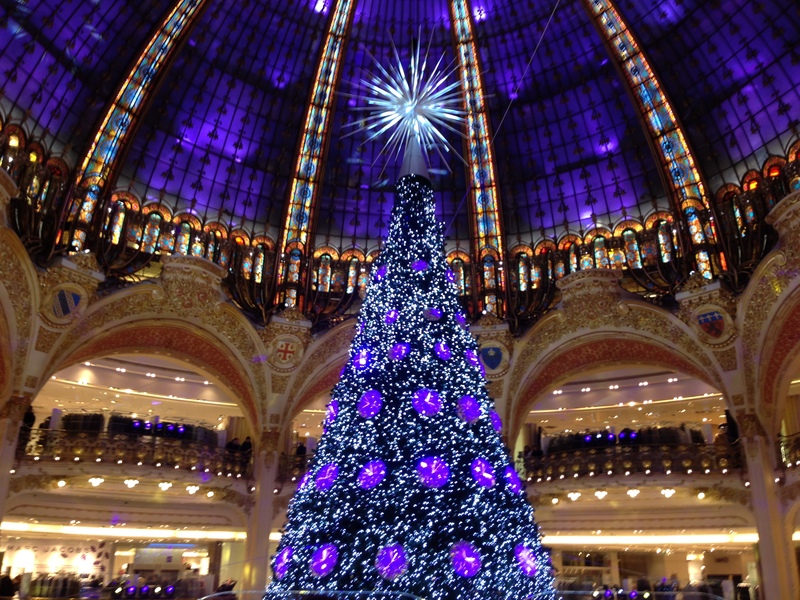 Just next door, Printemps will do its share to brighten your day with equally stunning displays. In another neighborhood, Le Bon Marché (24 rue de Sèvres in the 7th) won’t be outdone. 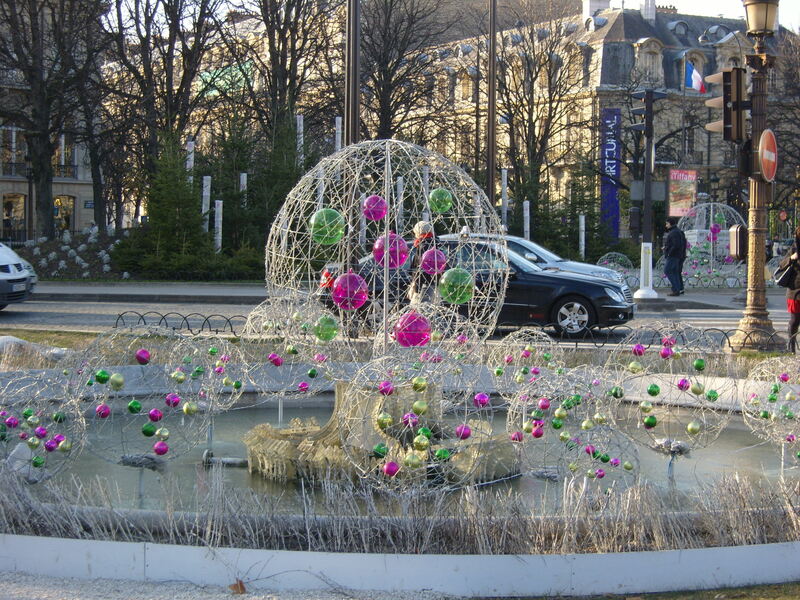 On a chilly day when you’d want to duck indoors anyway, why not be surrounded by French Christmas decorations ramped up as only the artistic French can do? All over the city you’ll find yourself surrounded by magical, twinkling lights. Here are two (left and below) from Bercy Village in the 12th district. There are many more! 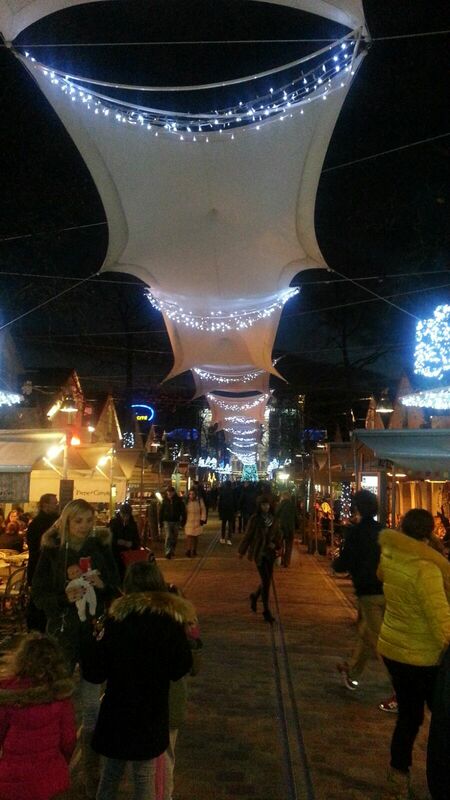 MARKETS: The best-known Christmas market is found on the Champs Elysées . 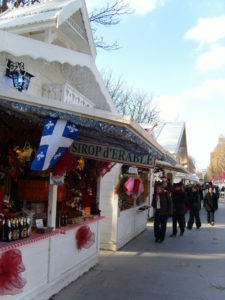 Small white booths string down the avenue and offer edibles and gifts from all over Europe. You can find other Christmas markets in the Montparnasse neighborhood, La Défense to the west, and a German Christmas market in the Gare de l’Est train station. 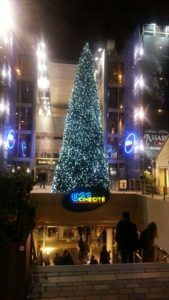 CONCERTS AND SHOWS: All over the city there will be Christmas concerts, some in small churches, others in famous venues such as Notre Dame Cathedral. And don’t forget the two main opera houses of Paris, the Opéra Bastille and Palais Garnier. While in France, don’t skip the traditional Christmas delicacies: foie gras, truffles, and oysters from Brittany. 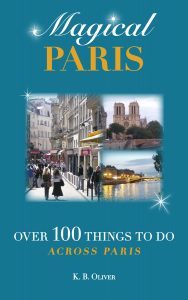 OTHER FUN THINGS: Then of course there are cabarets, dinner cruises, and New Years Eve watching the fireworks on the Champs Elysées near the Arc of Triumph.